If you’ve picked up a fashion magazine, spent time on Pinterest, or hit the mall in the last few weeks, you know faux fur vests are EVERYWHERE this season. That much is obvious. What’s not so obvious? If you’re new to faux fur, figuring out how to incorporate it into your existing wardrobe can definitely be intimidating. 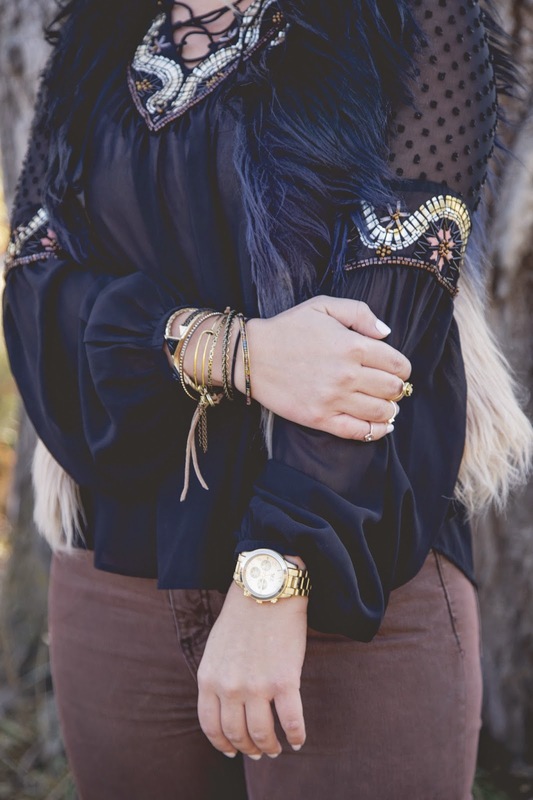 We asked our buyers to share their expertise and show off their favorite ways to wear this cozy top layer. Check out their tips and be sure to share your own spin on the trend by using #BuckledOut on Twitter and Instagram. 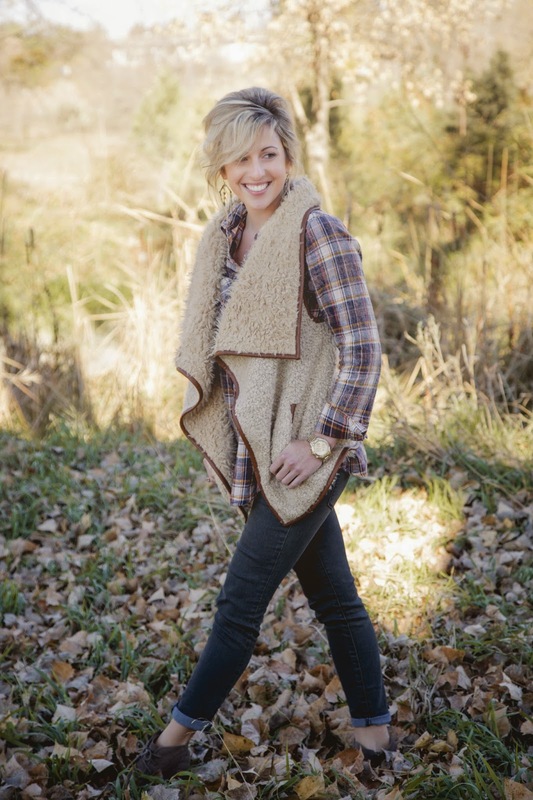 You can’t go wrong pairing a neutral faux fur vest with your favorite colorful plaid and a dark skinny jean. If your vest packs its own punch of detail, let it take center stage by keeping the rest of your outfit simple. A basic topand clean denim will do the trick. We’re especially partial to a cute flare jean. Layering up is another great option. Adding a short fur vest can take an already stellar look to a whole new level. To tie it all together, we recommend coordinating colors between your base layer and the vest. But don’t be afraid to add a pop of color in between. Dress things up with a longer faux fur. 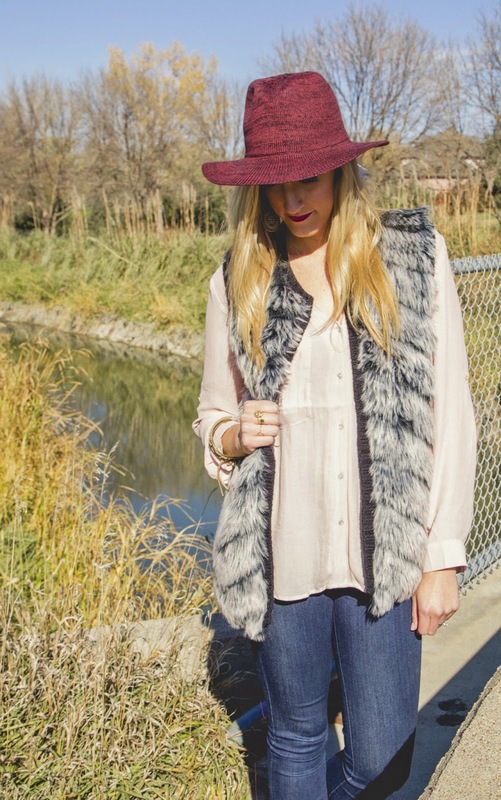 This ombre vest accents an embroidered top for a perfect, glamorous look. This final tip might just be our favorite. Alone, faux fur and oversized hats are two of the season’s top trends. Combining them in one outfit makes both even sweeter. Feeling inspired? Create your own faux fur look and share it with us below! What is the sku/brand for the black too under the ombre vest??? I need it!!! !